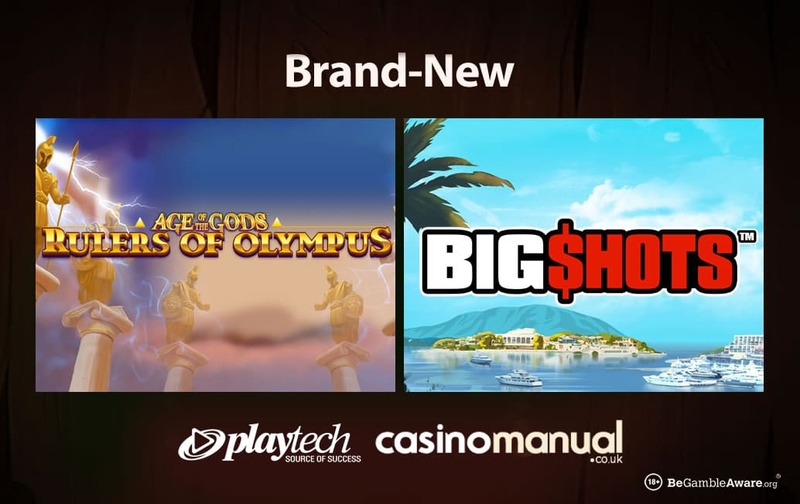 Join ancient Greek deities Zeus and Hera as well head for a life of luxury with the 2 latest video slots from Playtech. Join ancient Greek deities Zeus and Hera in Age of the Gods: Rulers of Olympus, the latest release in Playtech’s hugely popular myth and legend-themed series. Expect plenty of wild extras, free spins and potential progressive jackpots. 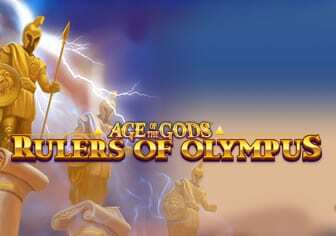 Age of the Gods: Rulers of Olympus is played using a 5 reel, 25 payline game engine and features the same classy comic book-style design found in the other games in the franchise. You can expect plenty of extras in this ancient adventure too. Landing the Bonus symbol on reel 5 triggers the Thunderbolt Bonus feature. Zeus springs into life and, by the look of it, he’s not a happy bunny. That works to our advantage though as he fires thunderbolts onto the reels and turns up to 7 symbol positions wild. A new payout calculation is then made with the extra wilds in play. The Hera vs Zeus Shifting Wilds feature can become active at random on any spin. Here Zeus and Hera move 1 position to the left and right respectively with each spin. Hope to see them both fall on the same position simultaneously as this triggers the Battle for Power Free Games feature – here, Zeus and Hera go into battle, head-to-head, whenever they land on the same row. The round continues until Zeus is finally beaten. They’re not the only free spins on offer here. Land the Free Games Bonus on reel 5 to trigger the Olympus Free Games feature where you’ll then receive 7 free spins on an expanded 50 payline machine. Look out for the extra Zeus symbols which are in play on each of them. You could see up to 10 of them locked in position on each free spin – you can win more free spins. Of course, you’ll also have a shot at landing a potentially massive progressive prize as Age of the Gods: Rulers of Olympus is part of the Age of the Gods Jackpot Network meaning you could win 1 of 4 jackpots – the Ultimate Power one is worth over £183,000. 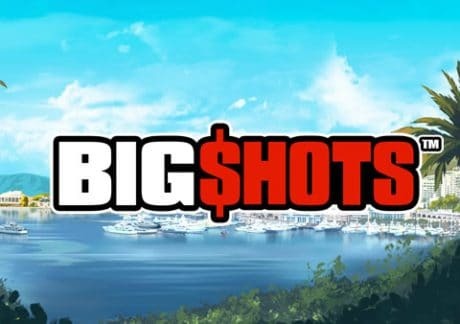 Experience the high life with Big Shots, an exclusive release from Playtech – with 6 reels and 4,096 ways to win, this highly volatile title takes you a beautiful seaside resort with palm, luxury yachts and hotels in the backdrop. This simple video slot benefits from big symbols which can reach 4×4 in size – this leads to bigger winning potential essentially. This also applies in the Free Games feature where up to 10 free spins can be won – furthermore, all royal symbols are removed from the reels meaning high value symbols are only present. I know I said Big Shots is simple but I recommend you try it as it’s a high variance game with potential wins of 25,600 times your total bet on every single spin! The chances of winning big increase in the free spins due to only high value characters showing up. Both Age of the Gods: Rulers of Olympus and Big Shots can be played at bgo Casino – the latter is exclusive to bgo Casino for now. The UK focused operation also offers you video slots from Quickspin, IGT, WMS, Barcrest, Net Entertainment, iSoftBet and many others. With same-day cashouts and round the clock customer support, register to get 10 no deposit free spins (with no wagering requirements) on a selection of Blueprint Gaming titles. There’s also a video slots welcome bonus of 100% up to £200 (i.e. deposit £200, get a £200 bonus).